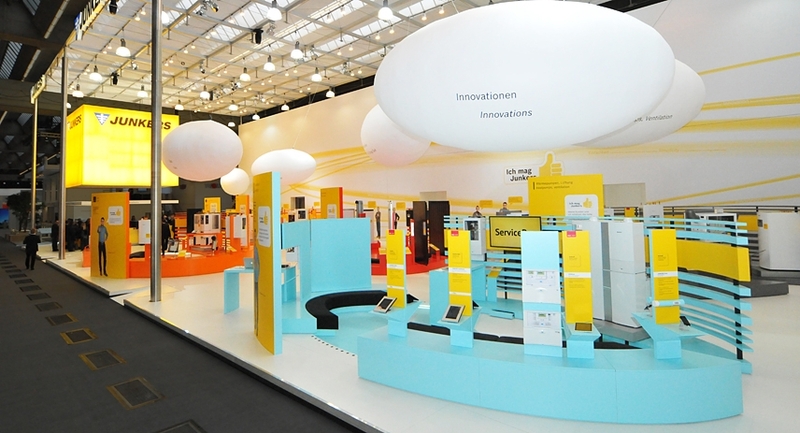 The central Dutch pavilion in Hall 3 was quite unique in many ways. 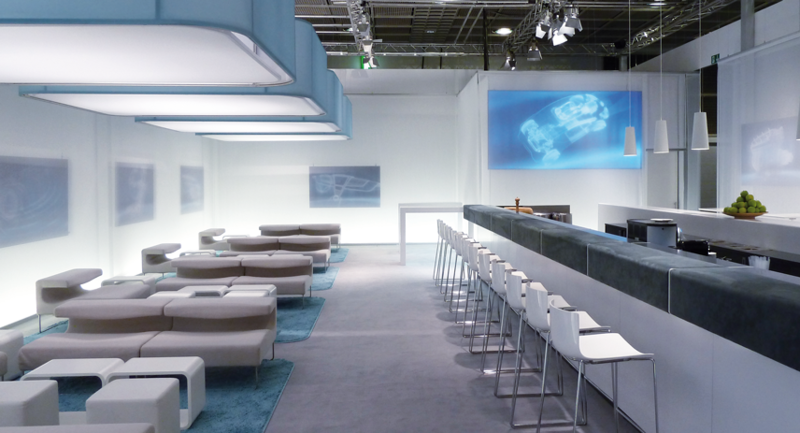 As for sheer size - its total 3.000 sq.m. 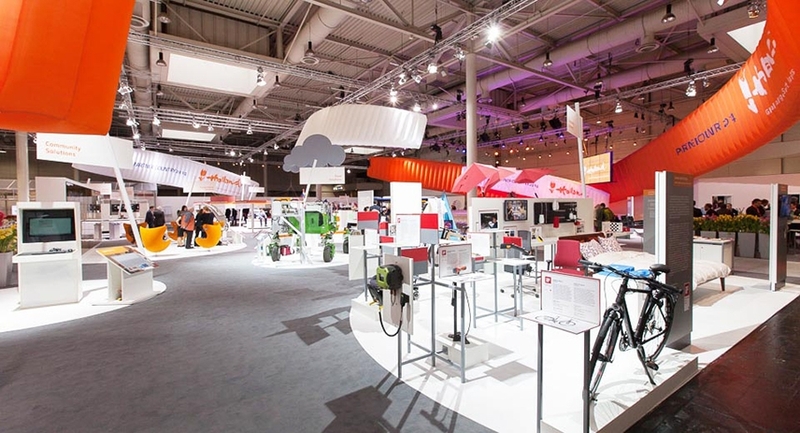 surface housed a colourful community of 30 innovative Dutch companies and organisations that presented themselves in an energetic, totally open and entrepreneurial atmosphere. 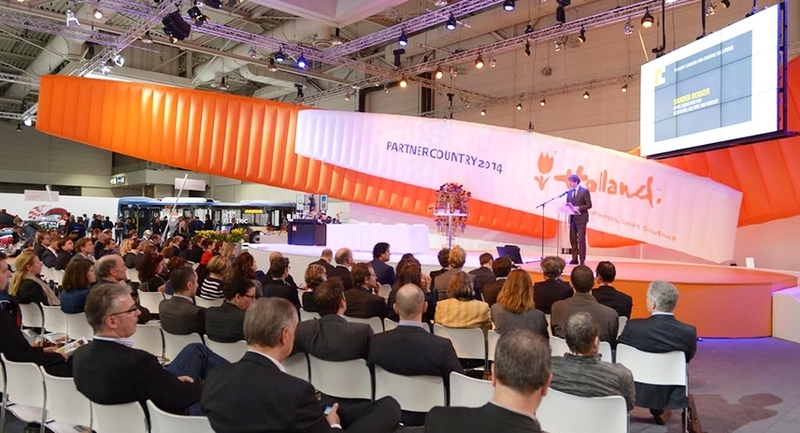 Two large stages housed an extensive program of lectures and (TED-)talks. 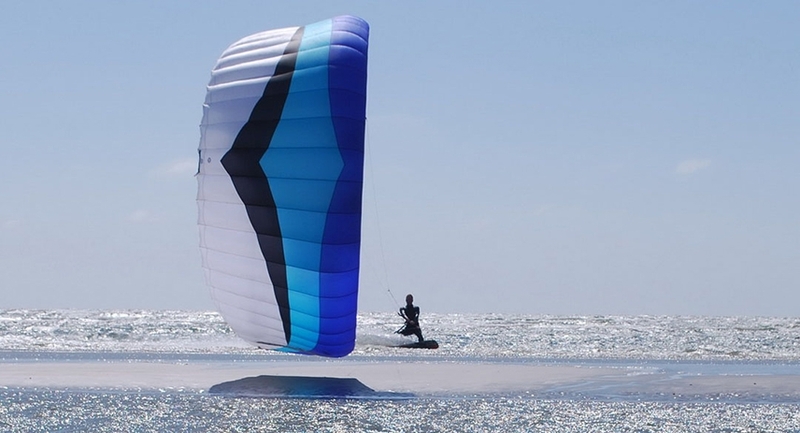 The architectural concept was based on kite surfing. 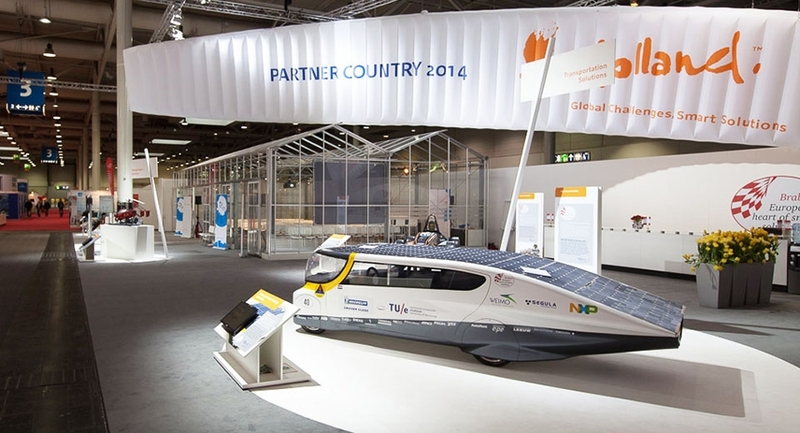 It represents the Dutch spirit in a nutshell, with its dynamic forward movement. 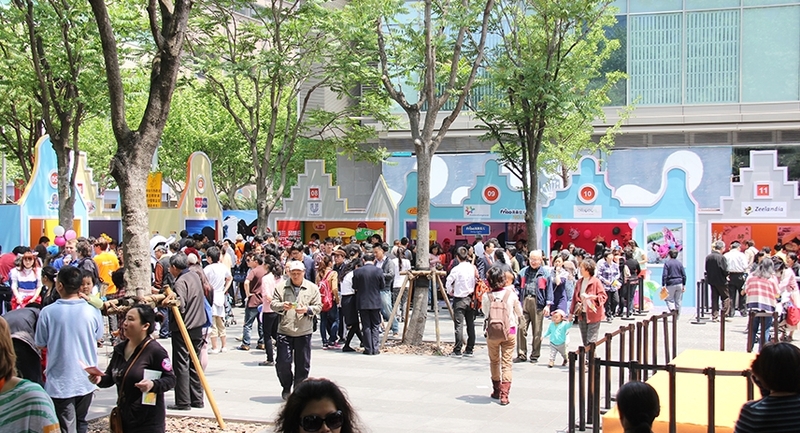 The huge shapes served as eye-catchers and proved to be magnets for visitors at the fair. 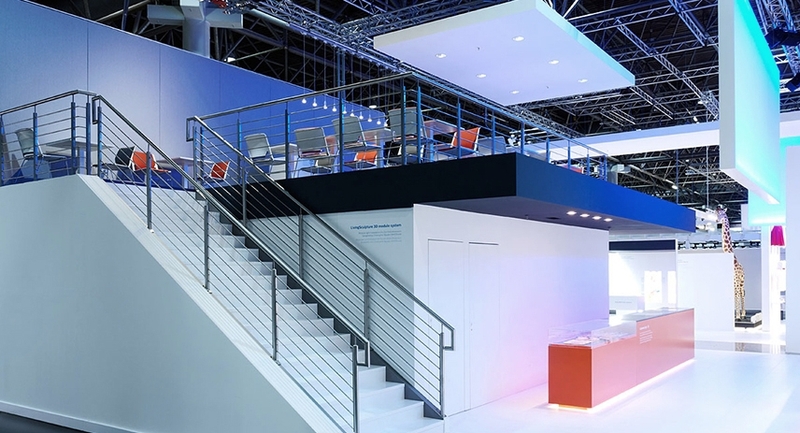 The setup enabled maximum exchange and openness; the pavilion presented thus a mentality, a culture of innovation and cross-thinking. 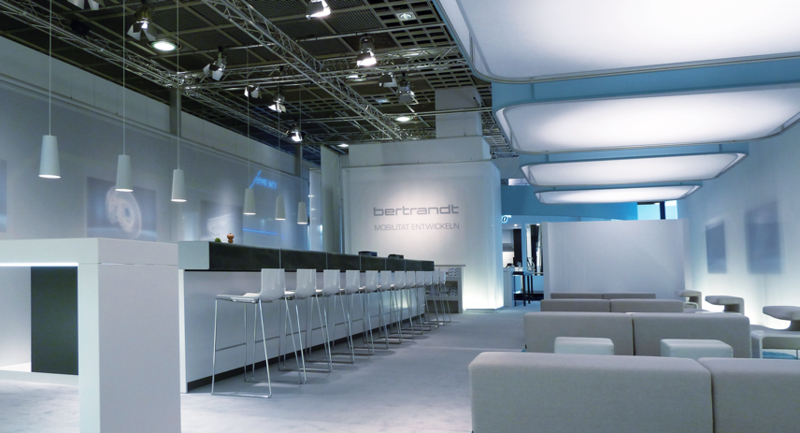 The reception was phenomenal. 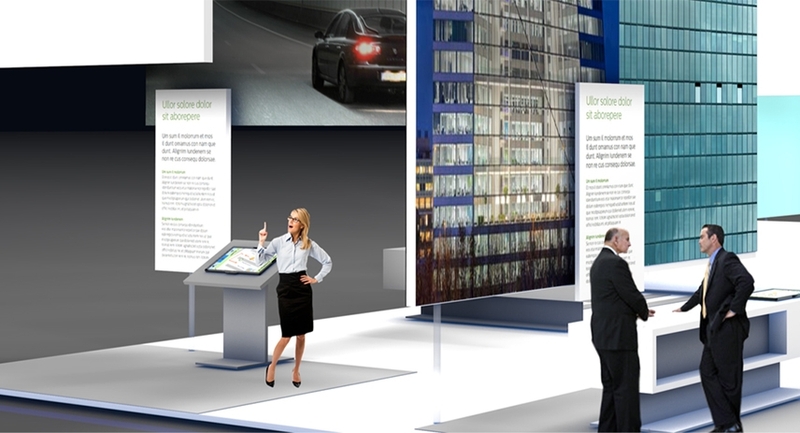 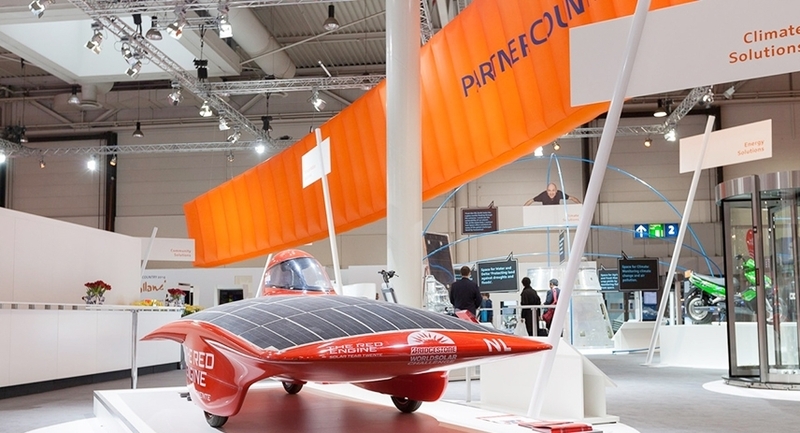 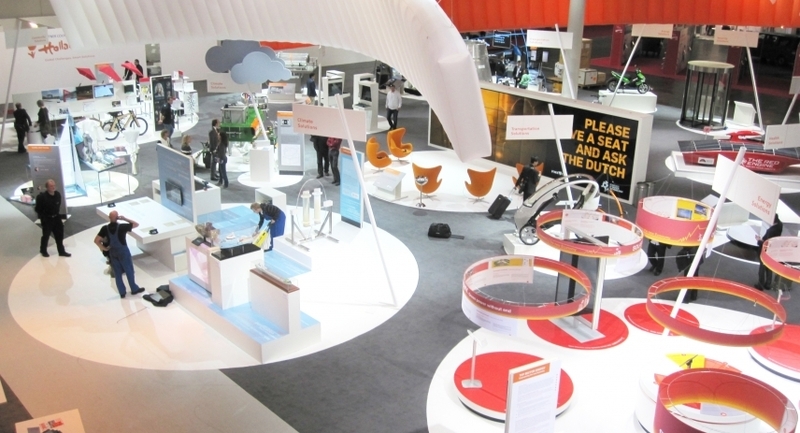 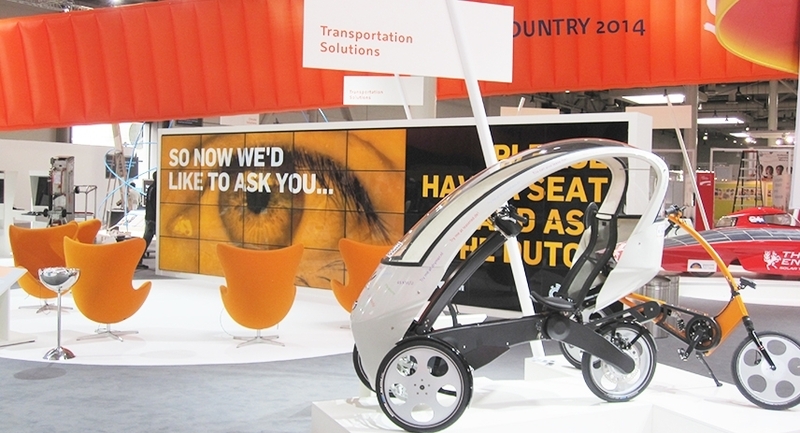 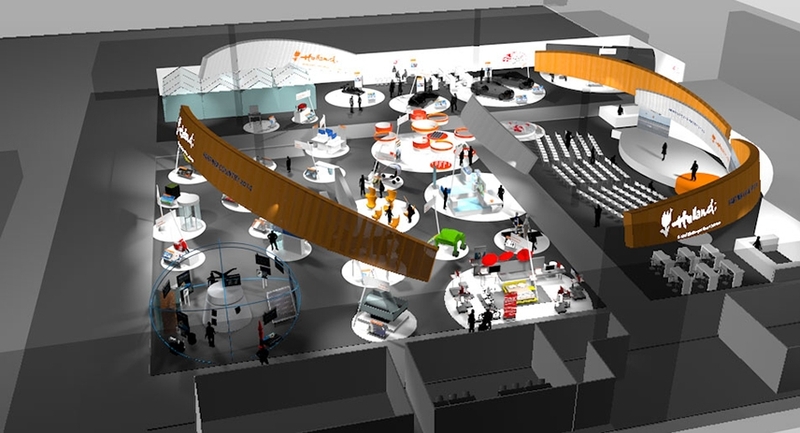 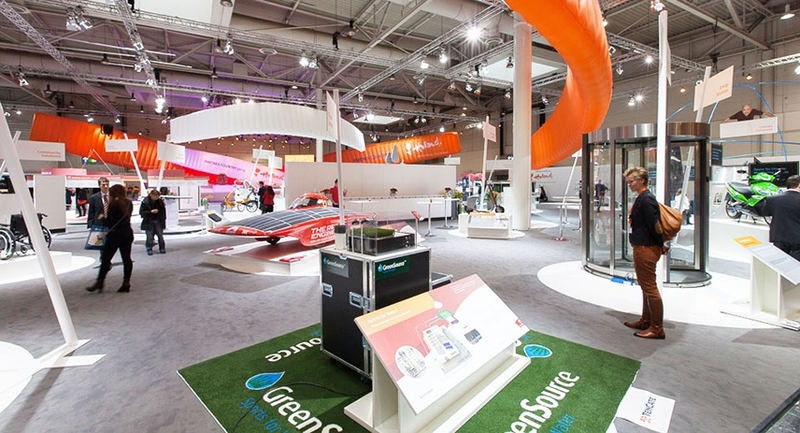 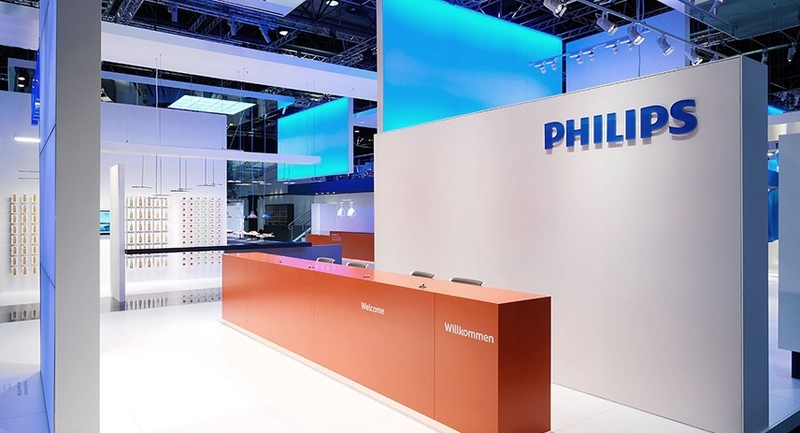 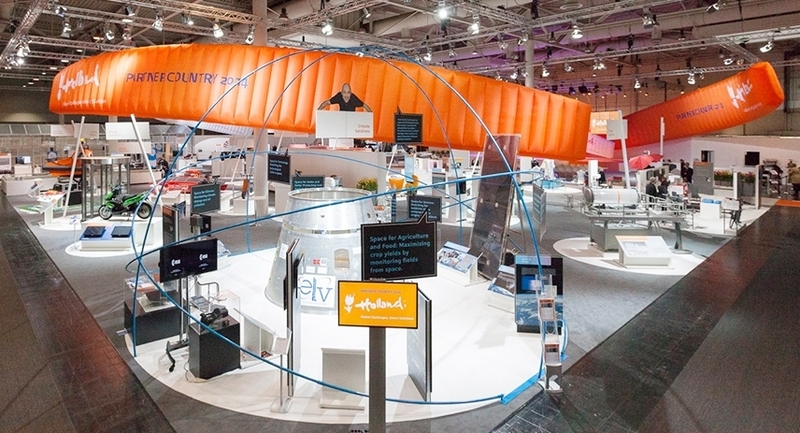 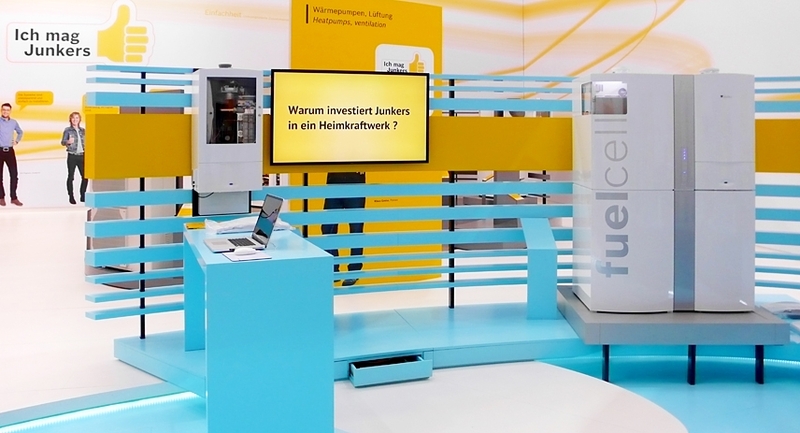 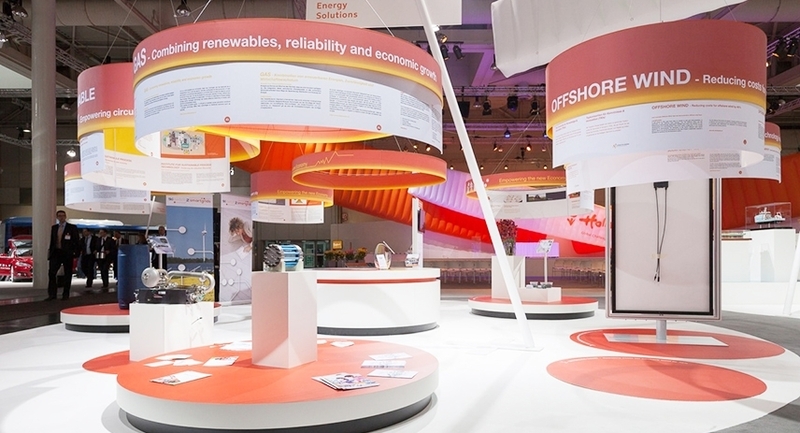 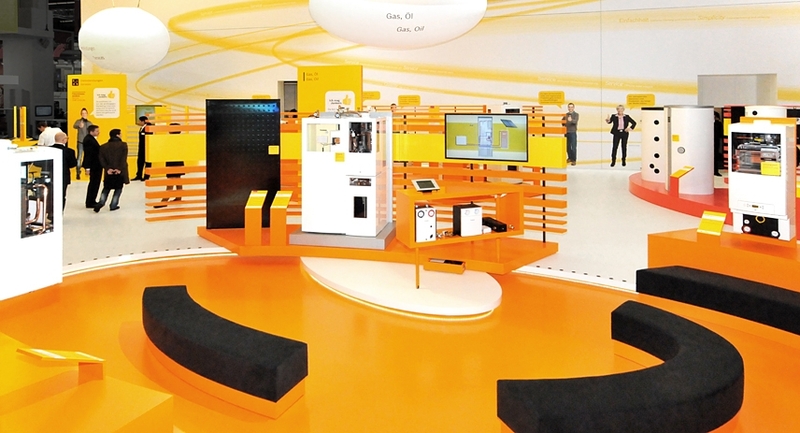 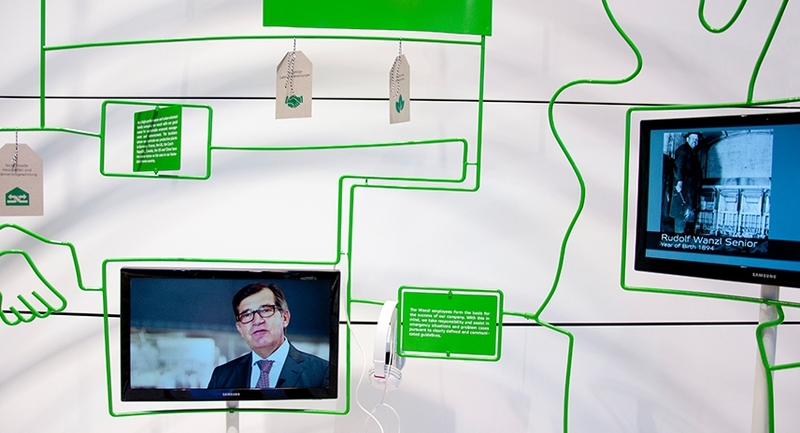 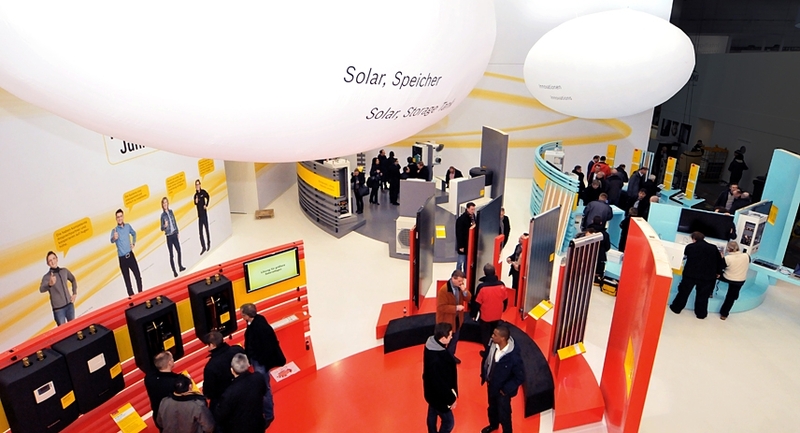 Check out the official press release of the Hannover Messe. 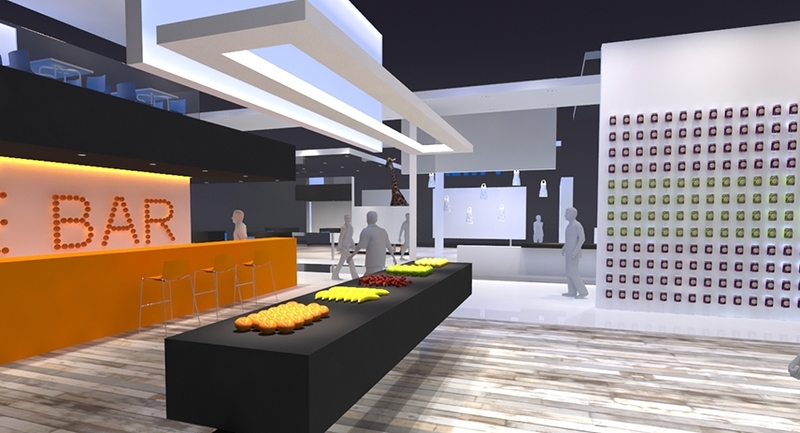 The renderings for this project were particularly breathtaking. 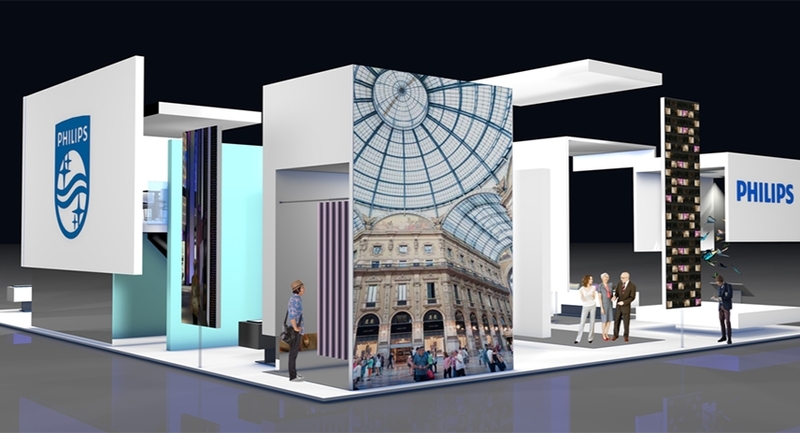 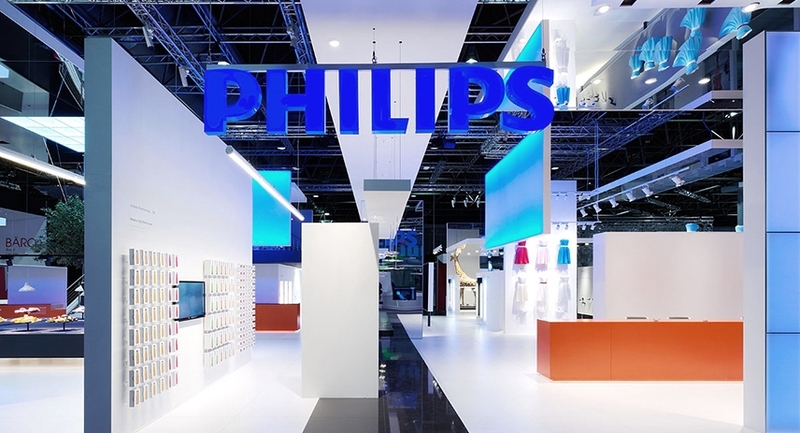 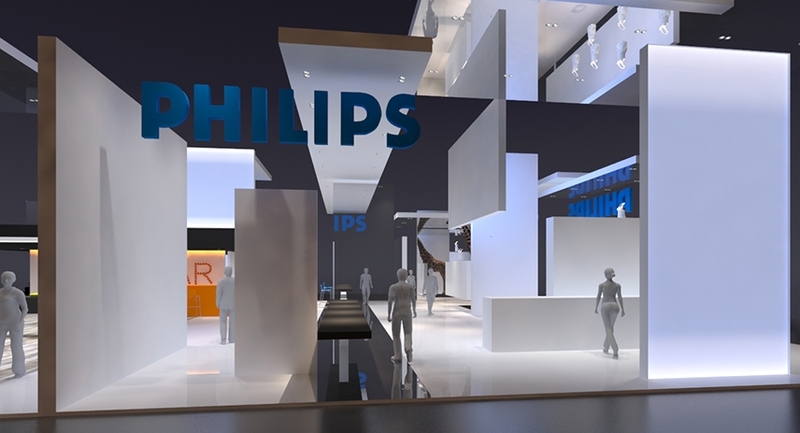 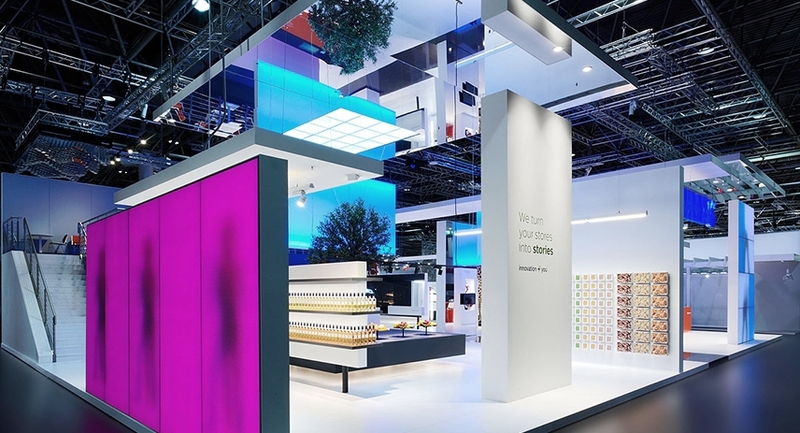 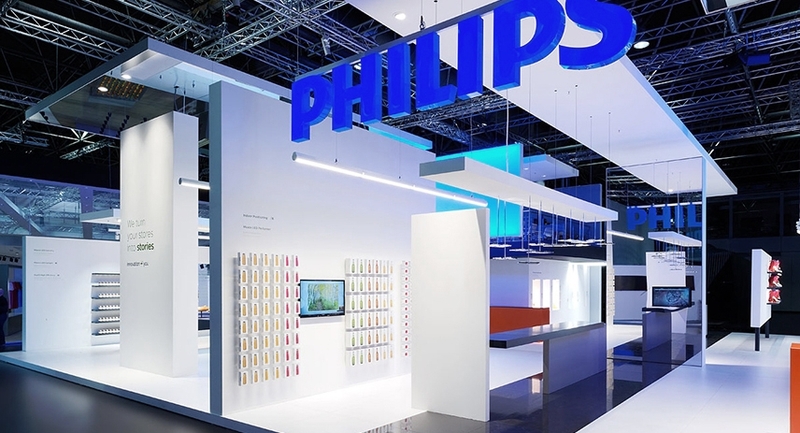 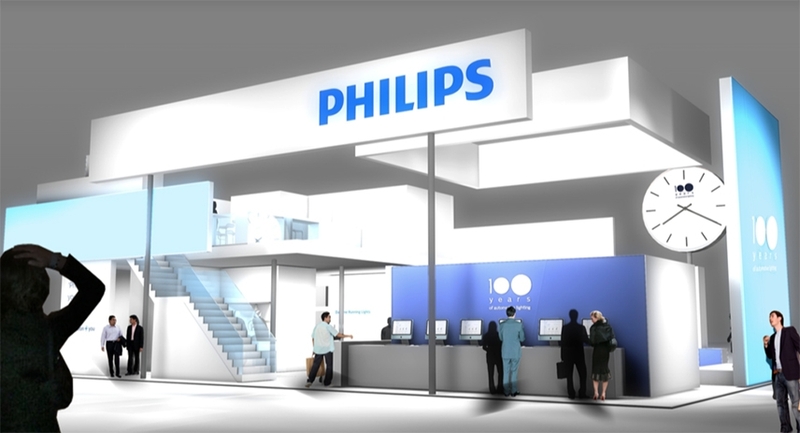 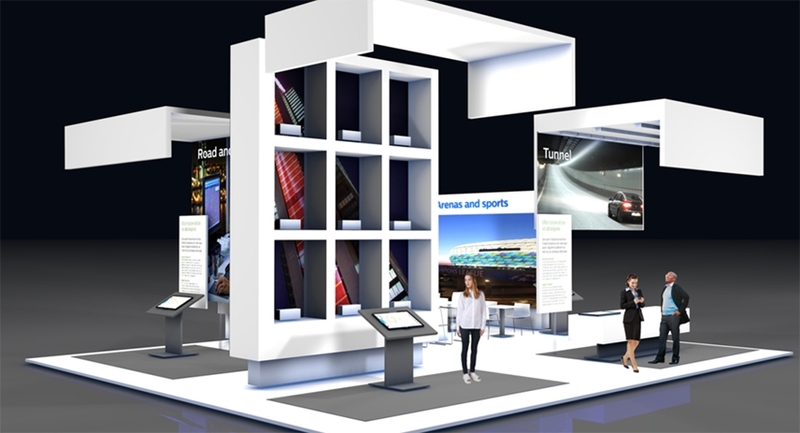 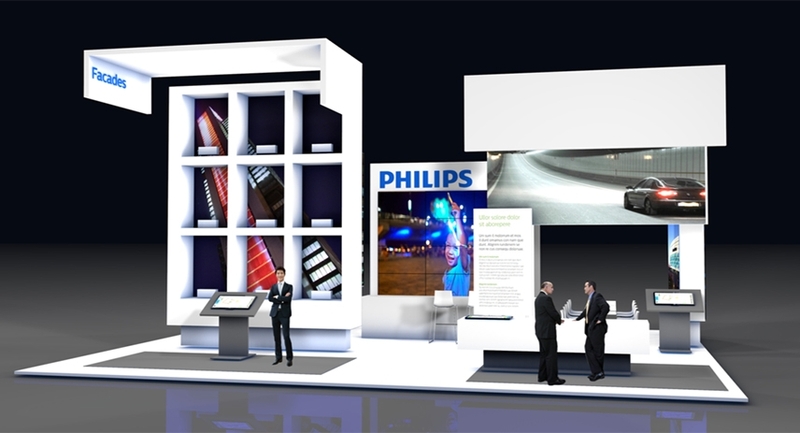 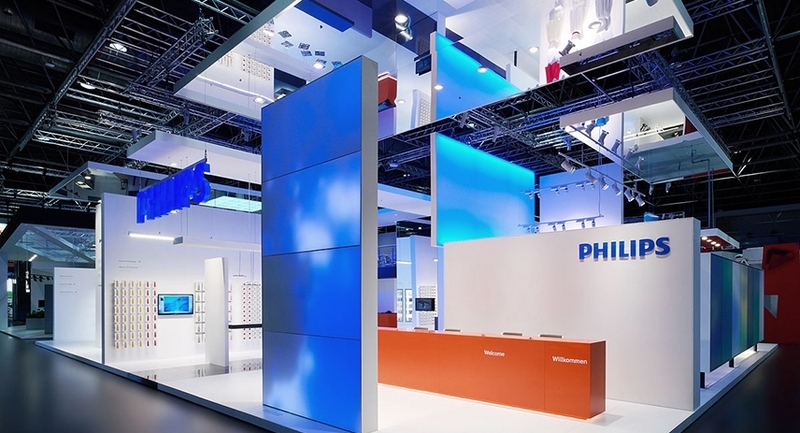 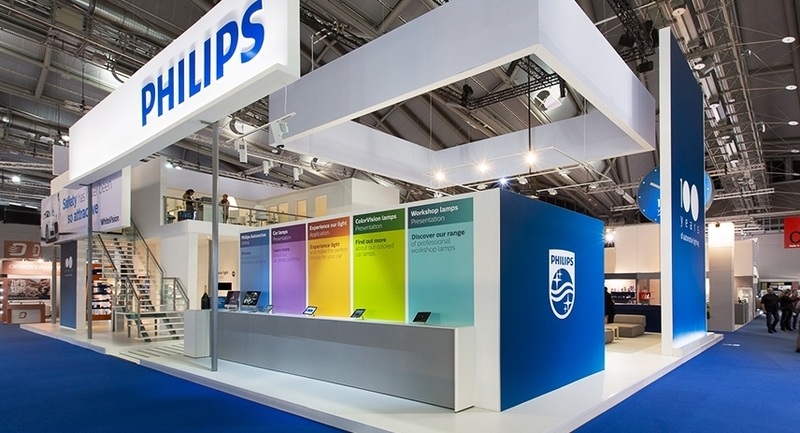 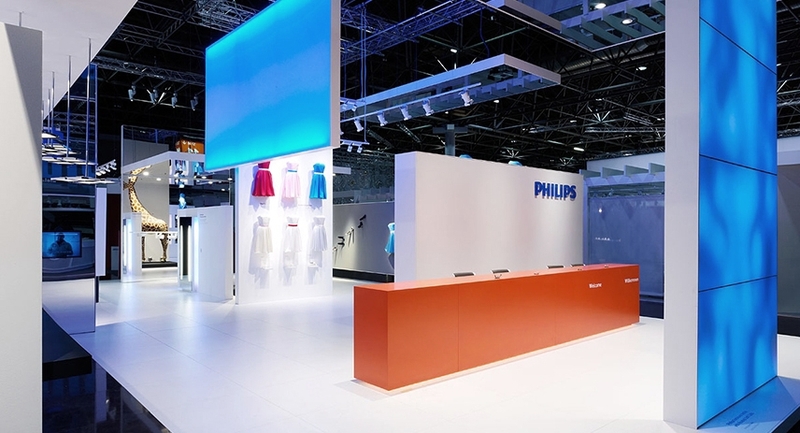 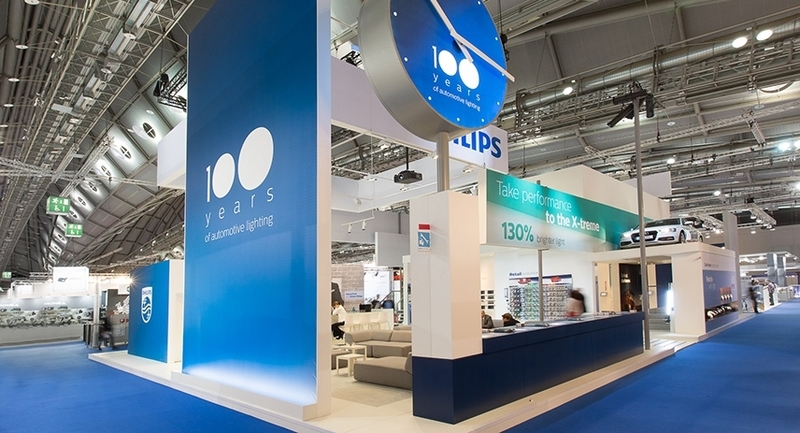 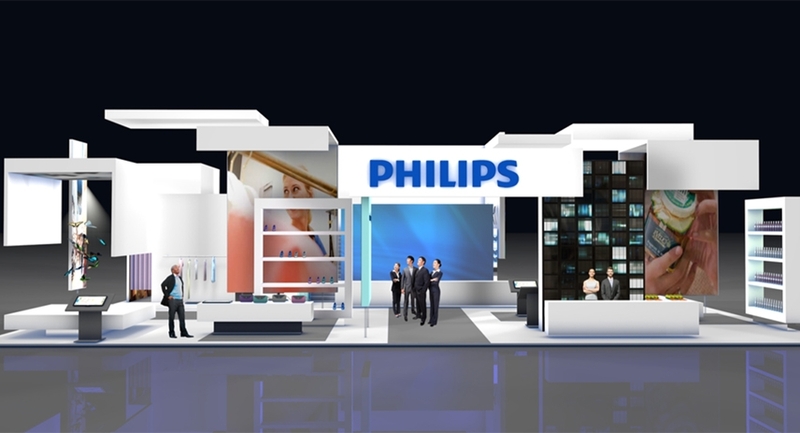 In order to visualize the envisioned world of lighting, colours, reflections and fine detail, we asked help from our creative partner PixelPool - specialists in visualization of retail spaces and exhibits. 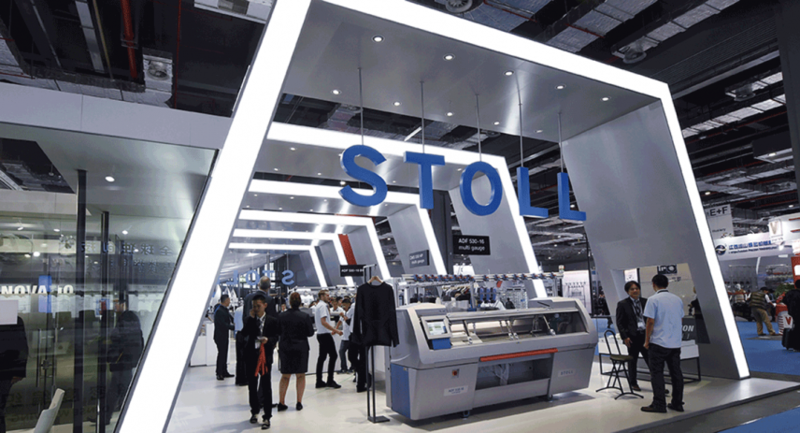 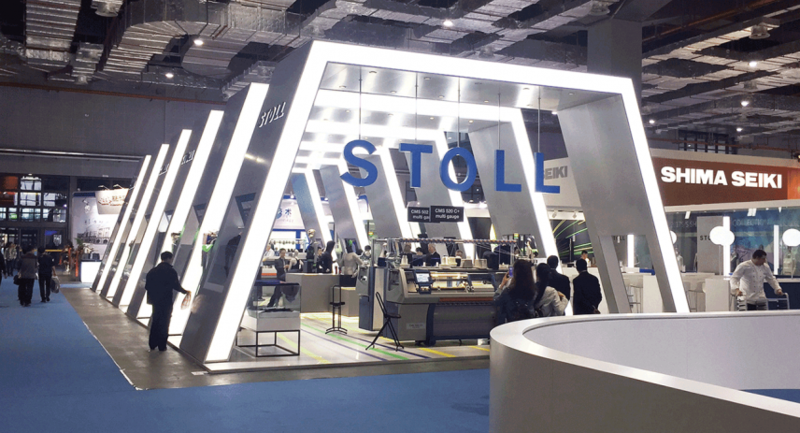 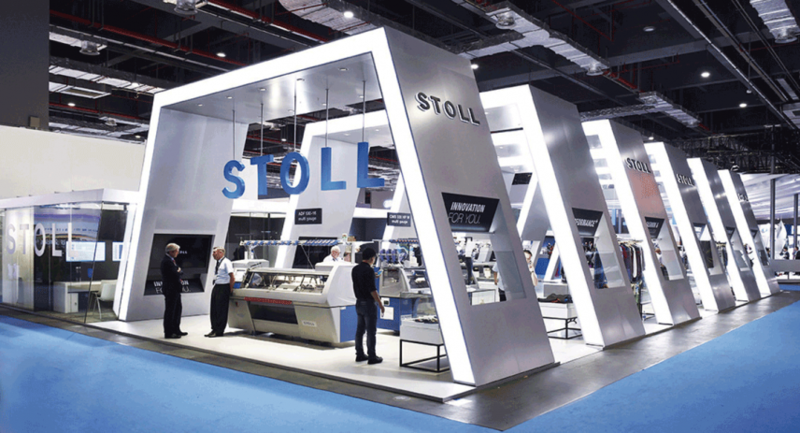 In Shanghai on ITMA Asia 2016 Totems was again responsible for concept and design of the stand for STOLL AG in Reutlingen, the leading producer of flat knitting machines. 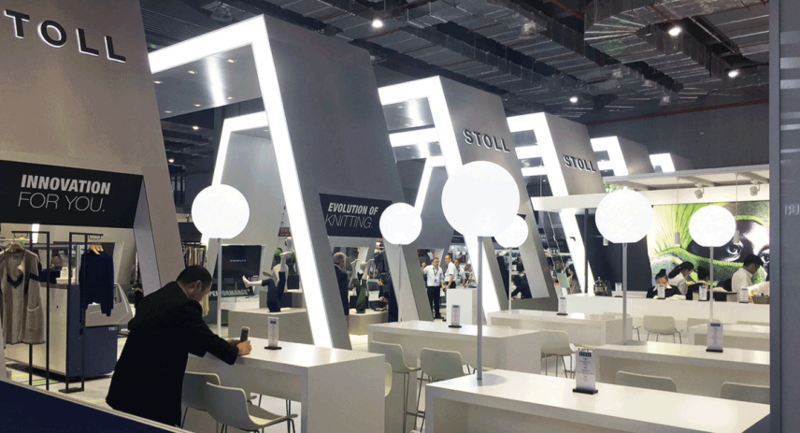 It was the first time he fair took place at the new National Exhibition and Convention Center (NECC) Shanghai which caused new challenges. 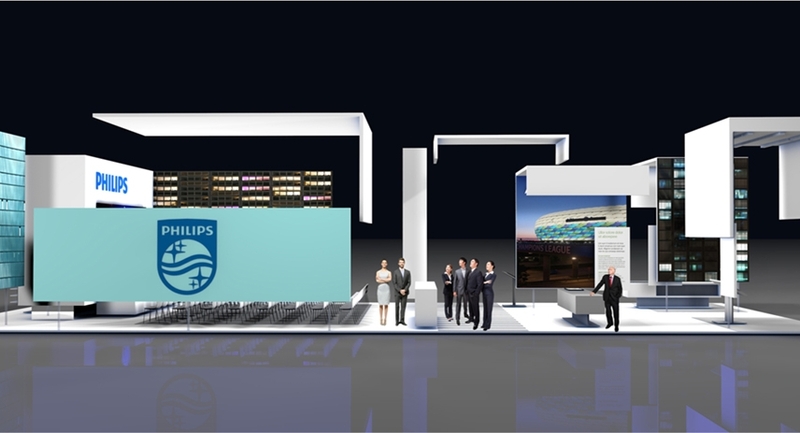 We are happy that we could manage them so excellent. 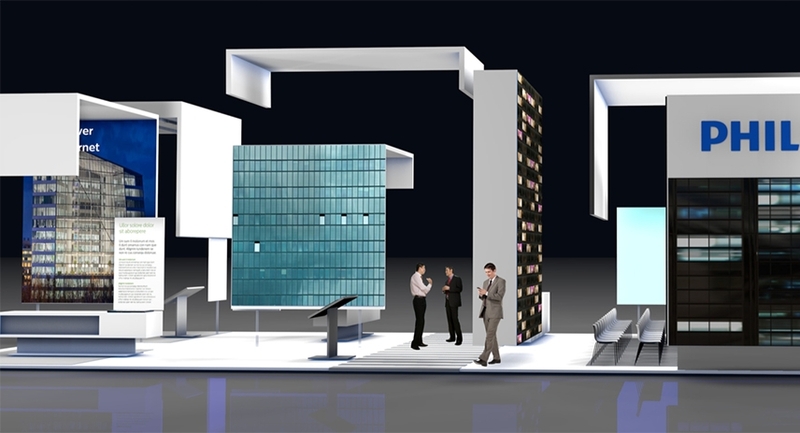 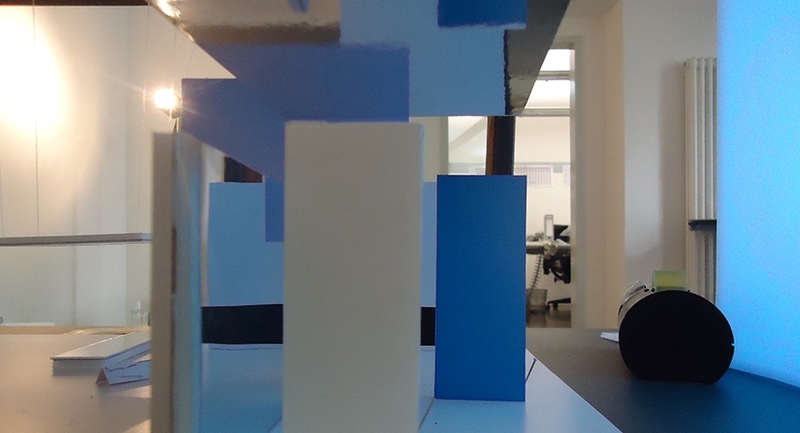 A new geometric stand architecture was a magnetic attraction for lots of interested business visitors. 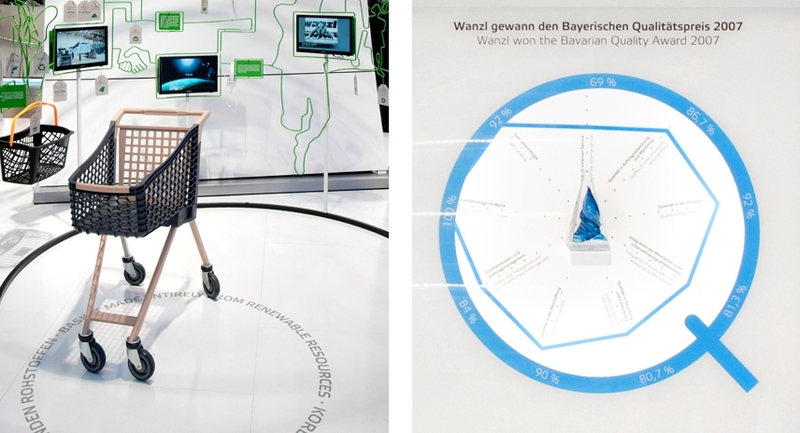 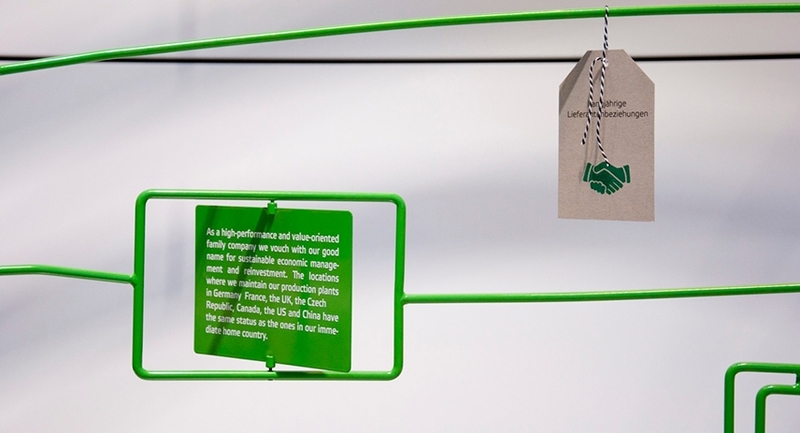 The clear orchestration visualized efficiency and economy on one hand and on the other hand the faszination of a brand which brings the future of knitting to live. 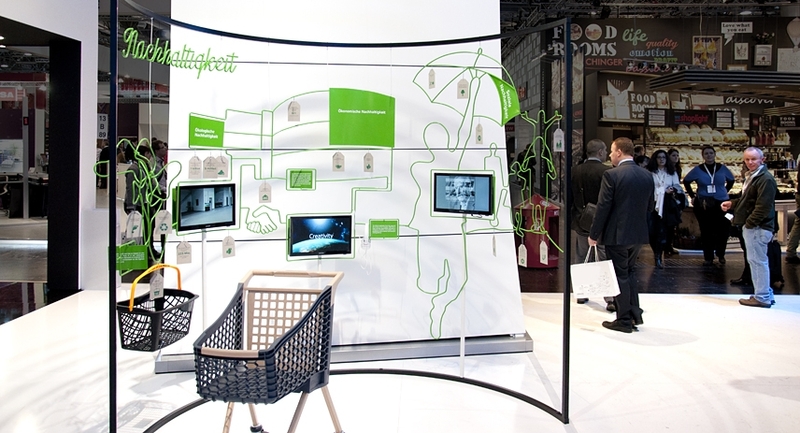 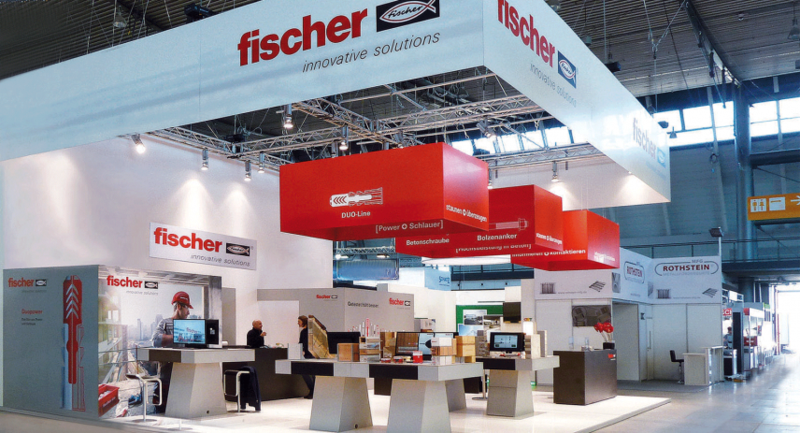 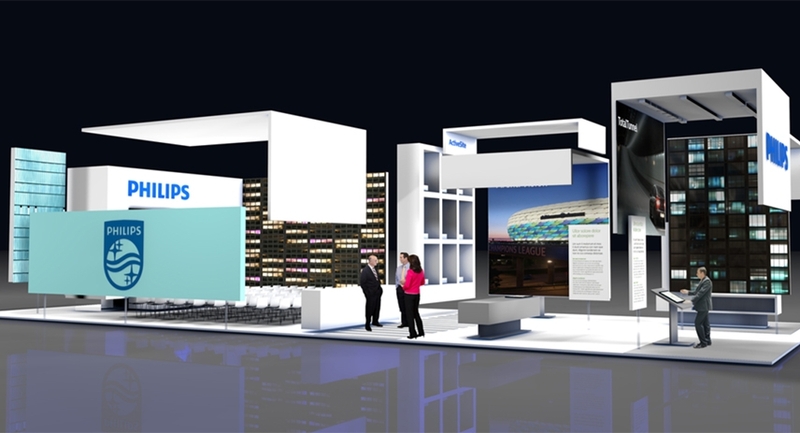 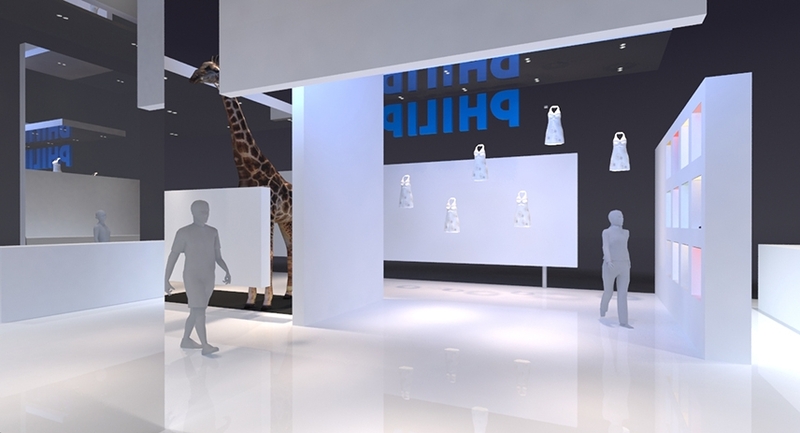 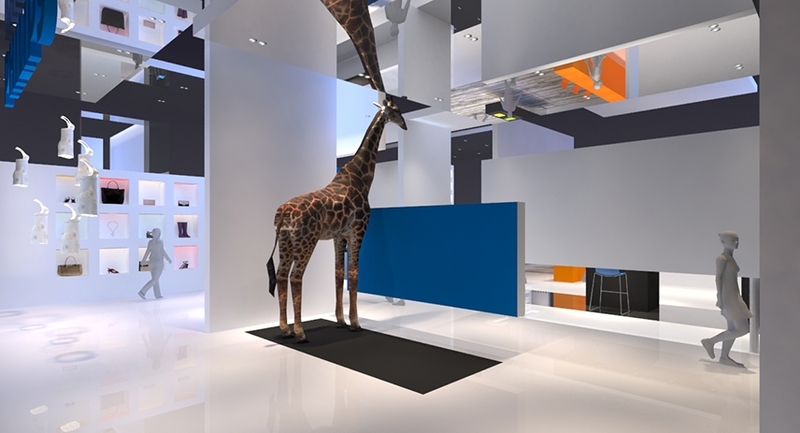 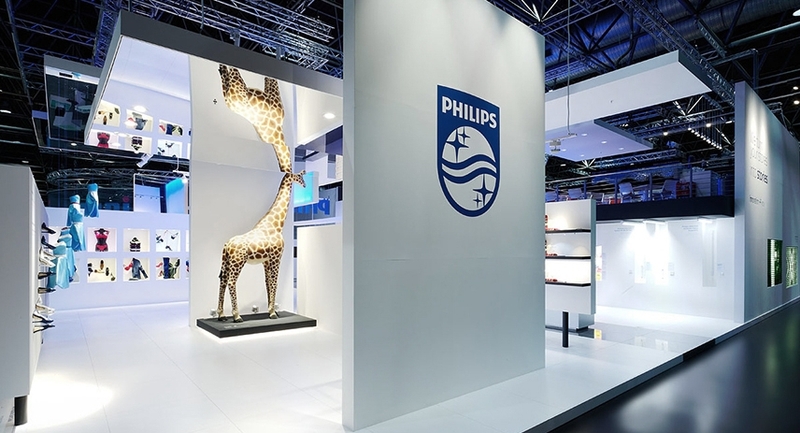 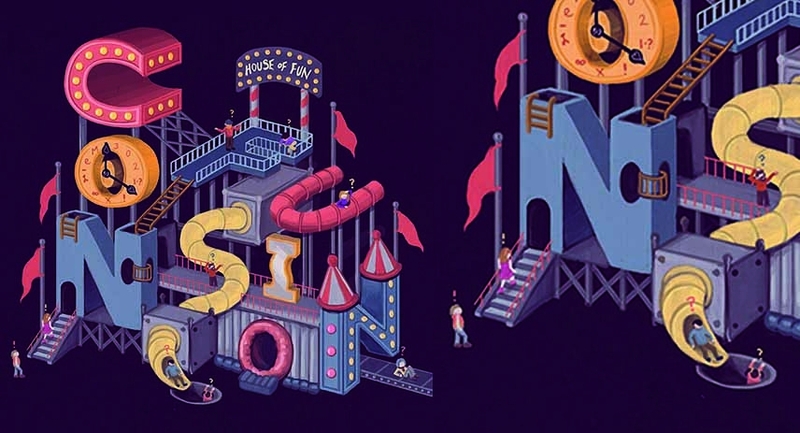 This year, Fischer assigned Totems again with the conceptual design of their fair stands. 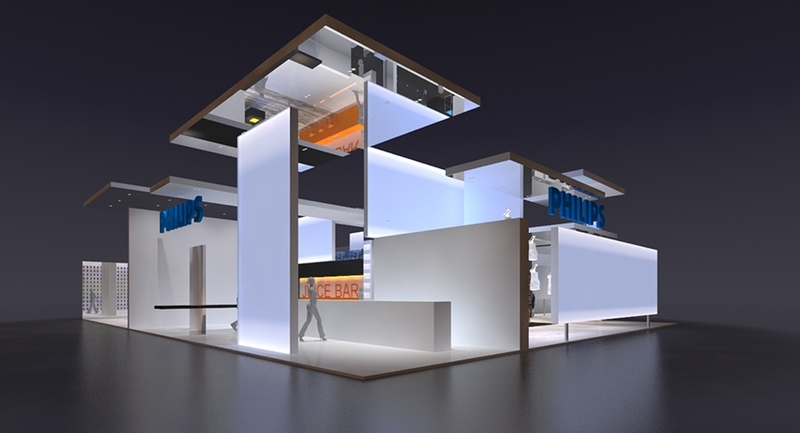 First step was the planning and concept for the world leading fair Bau 2017 in Munich. 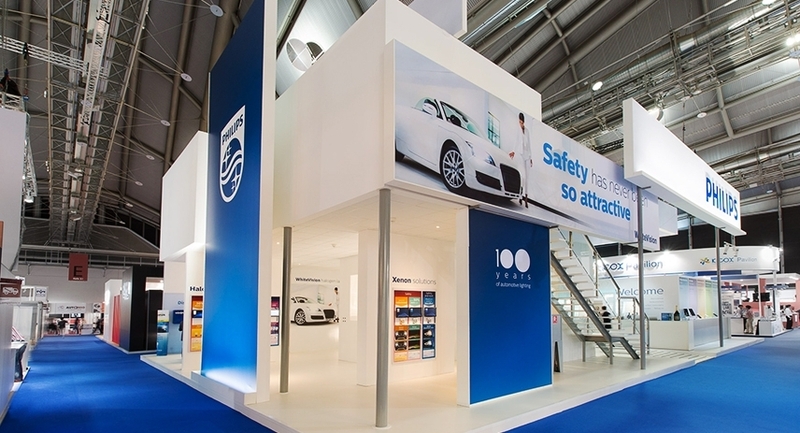 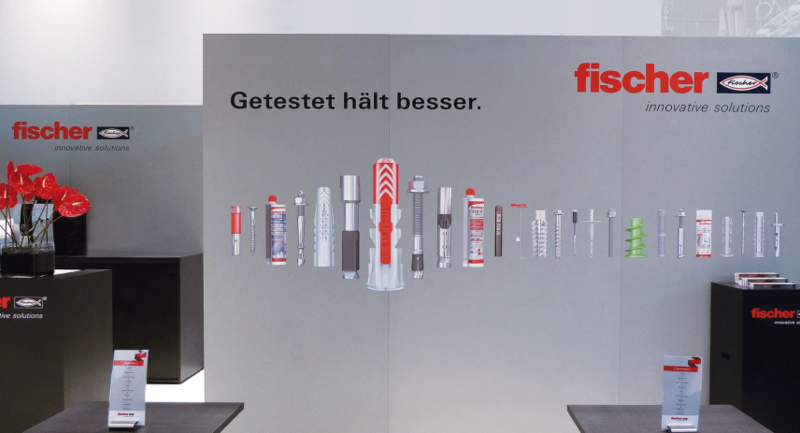 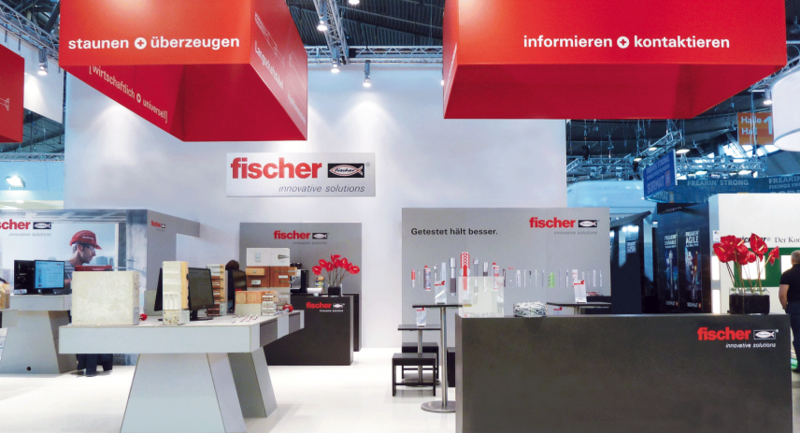 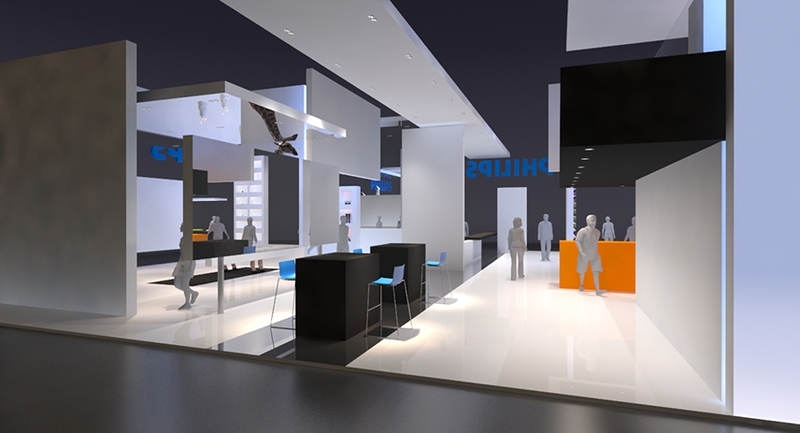 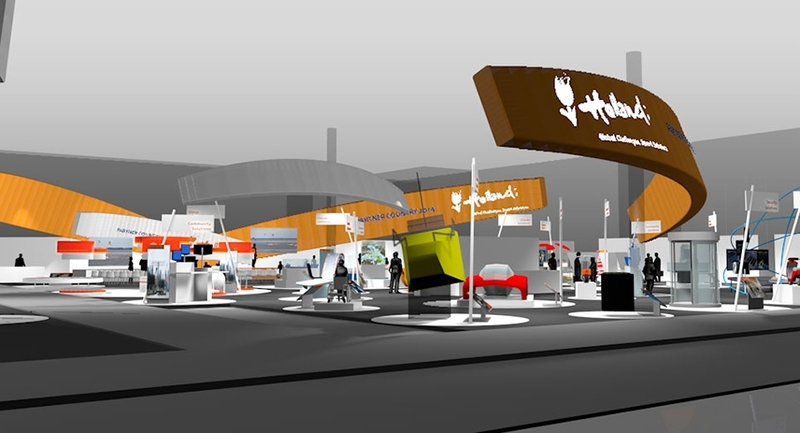 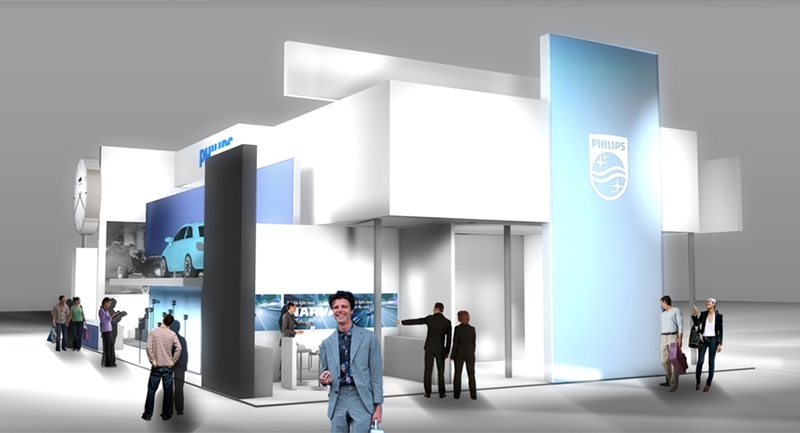 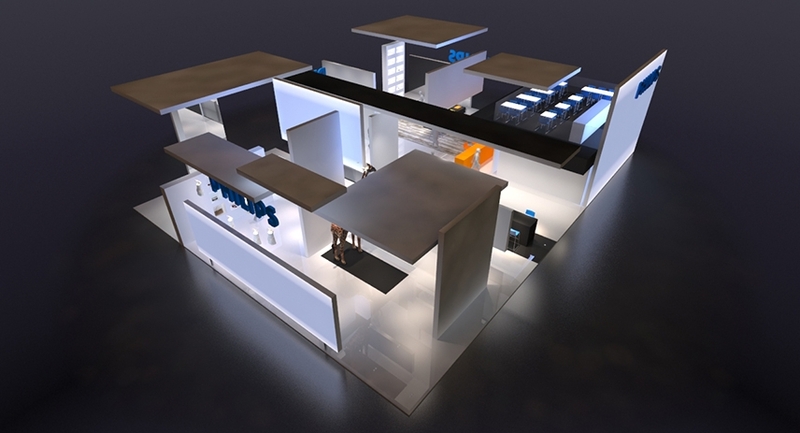 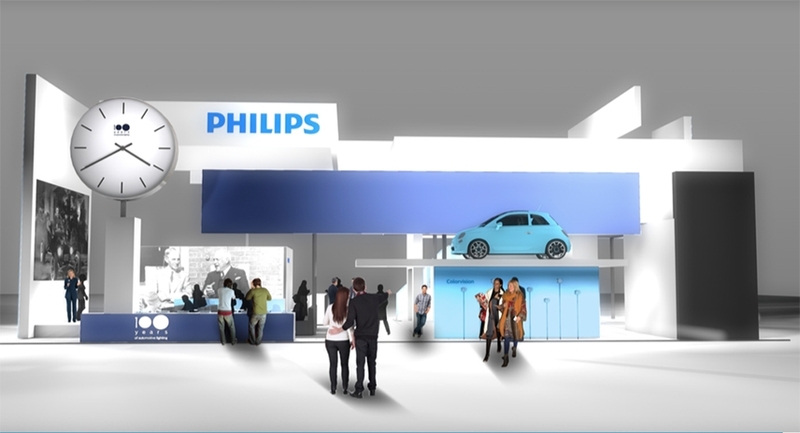 From this concept the stands for ISH in Frankfurt and Fastener Fair in Stuttgart were derived (see pictures). 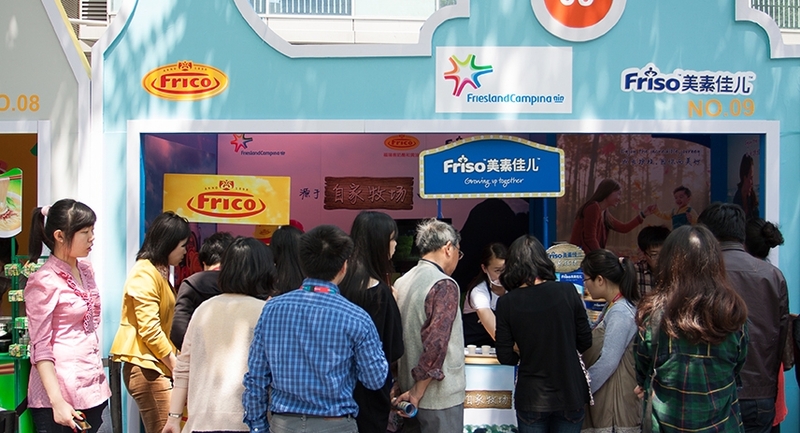 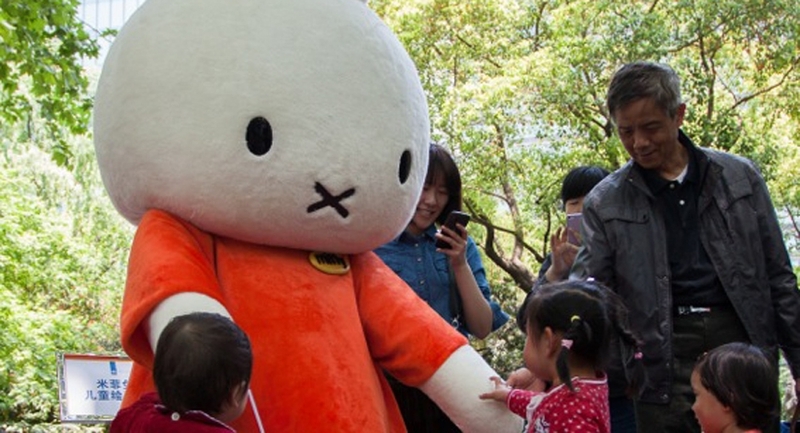 After last year’s success, a tradition is born: the Dutch Days are back in Shanghai (video). 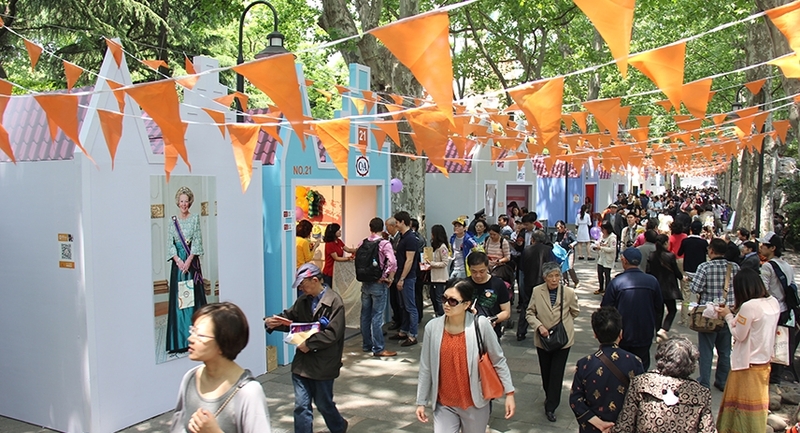 Initiated by the Netherlands Consulate General in Shanghai, the Dutch Days showcase the best of what the Netherlands has to offer, giving the Shanghai public the opportunity to meet the Dutch. 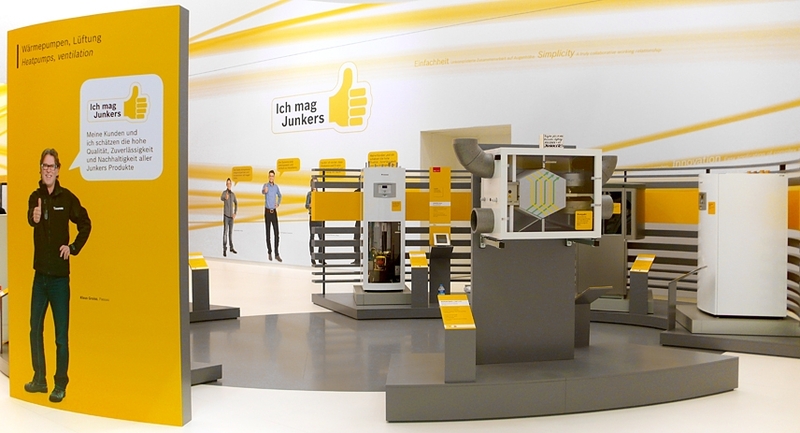 Junkers is a sub brand of Bosch Thermotechnik GmbH. 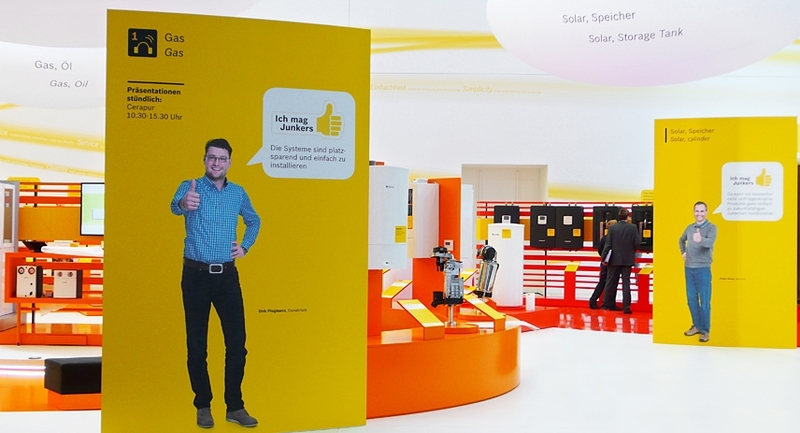 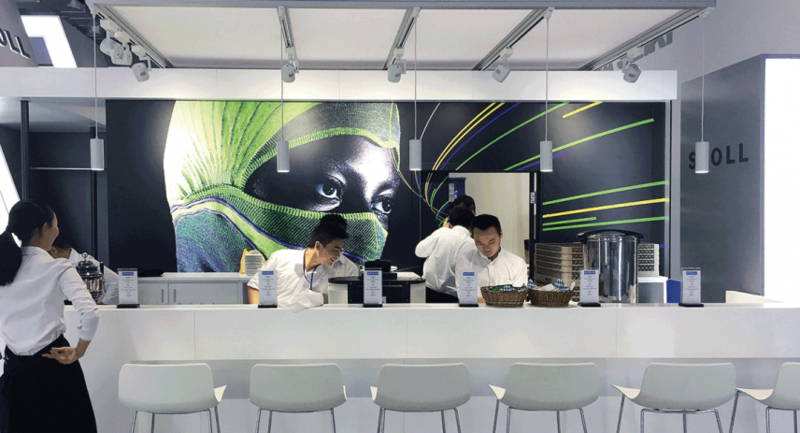 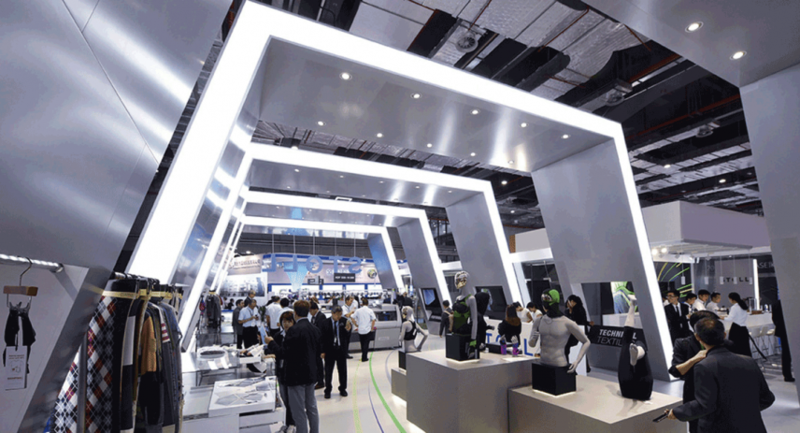 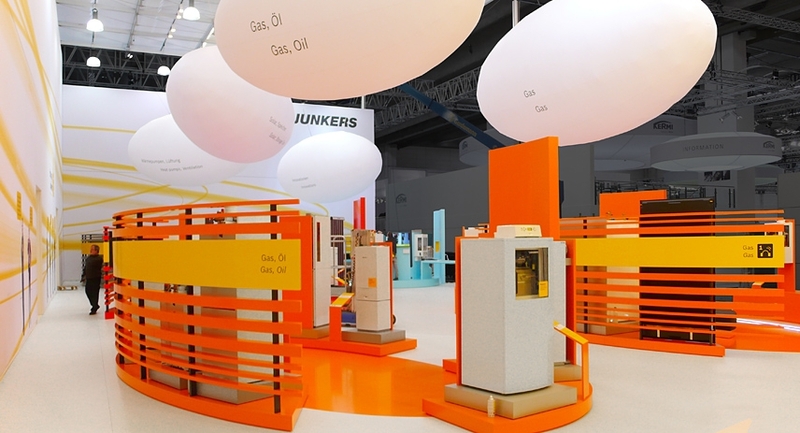 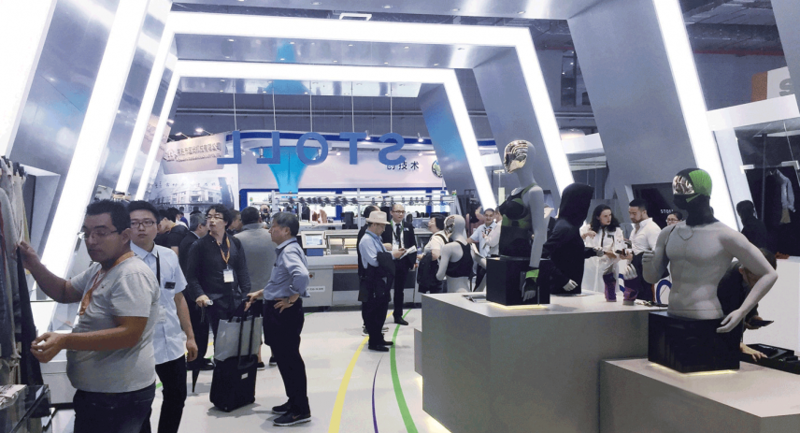 At their ISH 2013 stand, the visitors were invited to not just gather information about the multitude of heating and hot water solutions, but to actually „grasp“ the products. 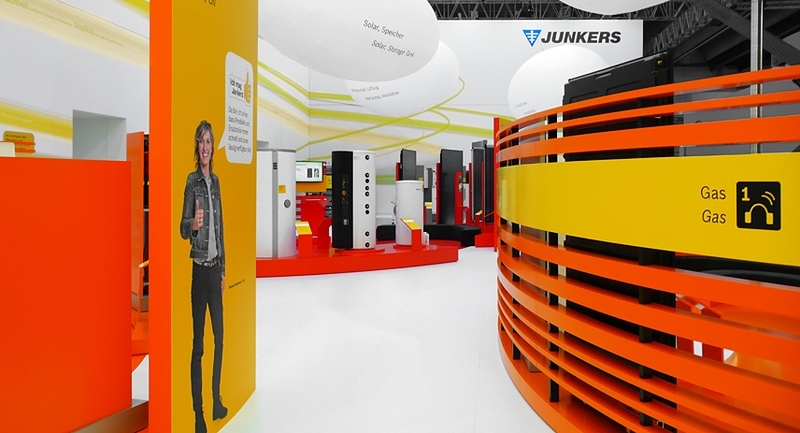 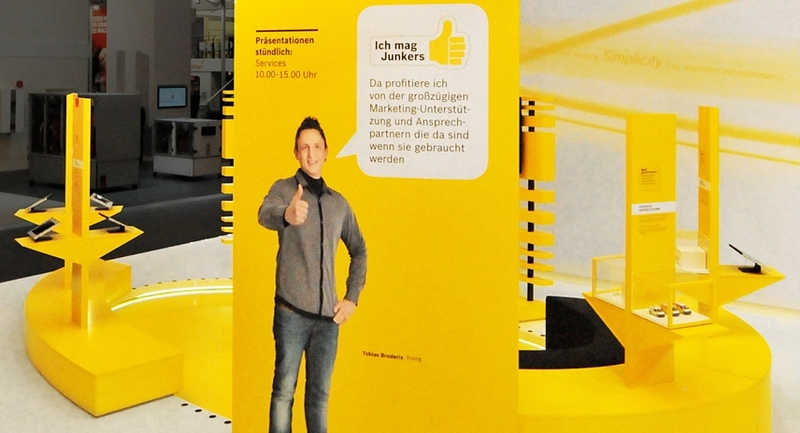 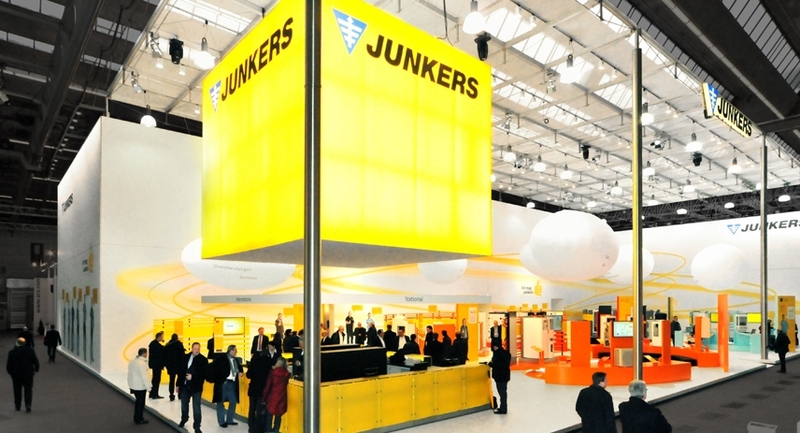 To facilitate this, technologies and products were presented in a rather emotional manner, leaving the visitors with a strong impression of the Junkers brand. 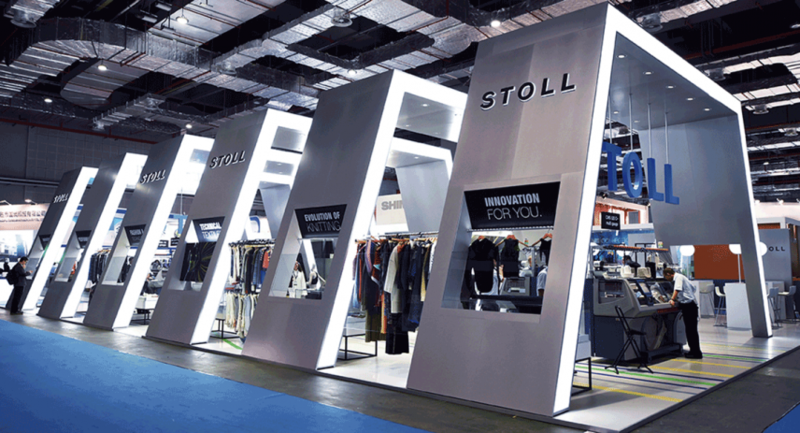 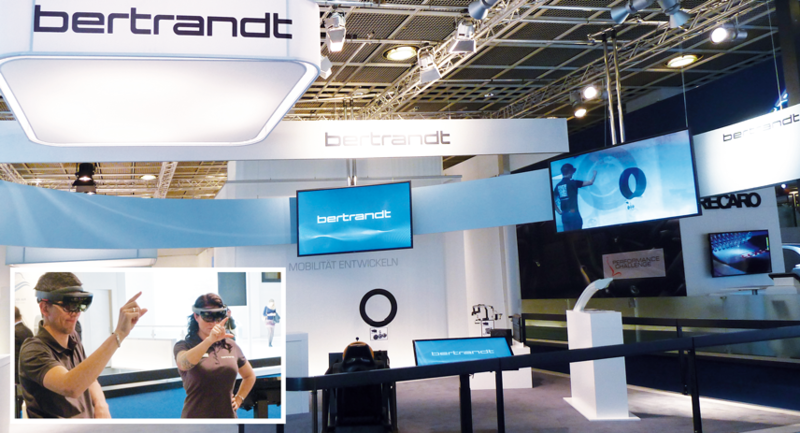 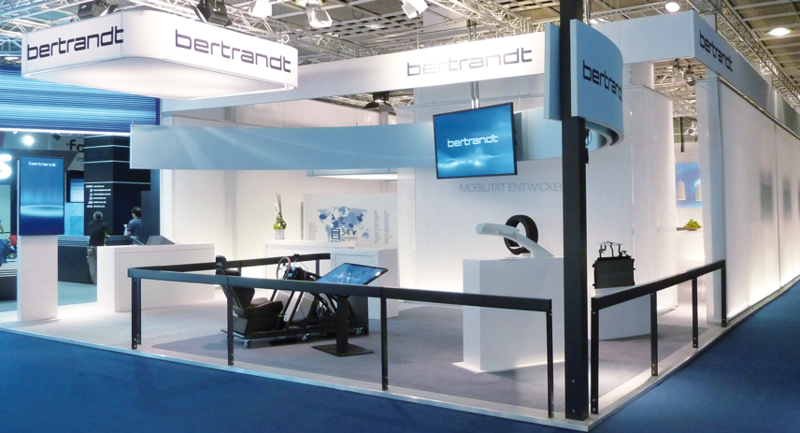 The stand design made a statement of transparency and proximity. 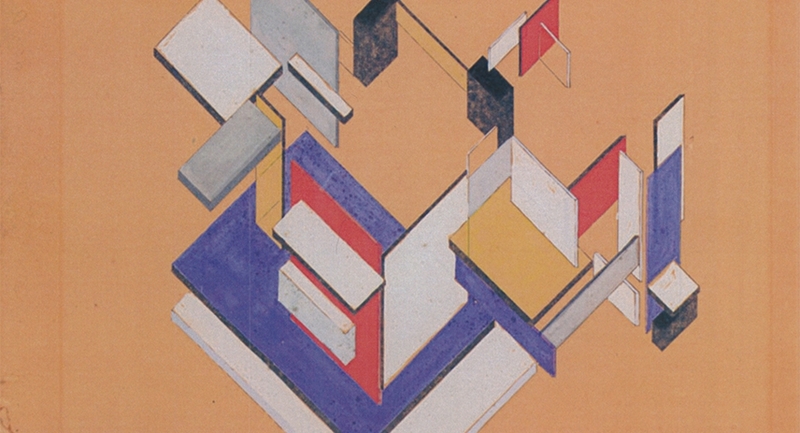 It was divided into six colorful thematic islands, marked by suspended zeppelins. 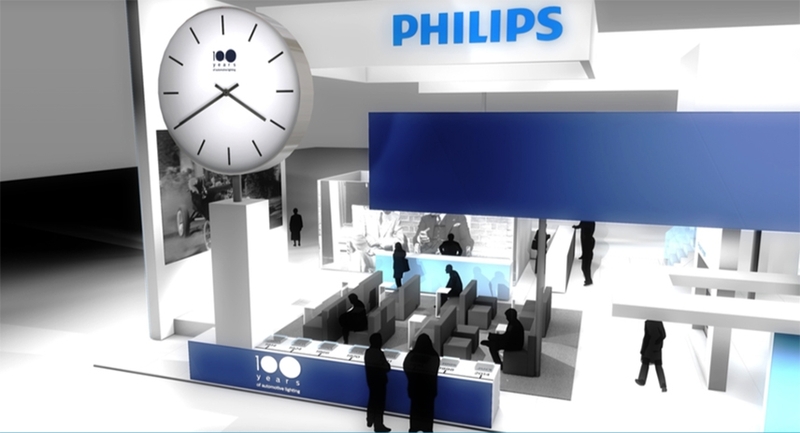 Feature presentations of core innovations were held once every 15 minutes, made accessible to a large audience through specialized audio devices. 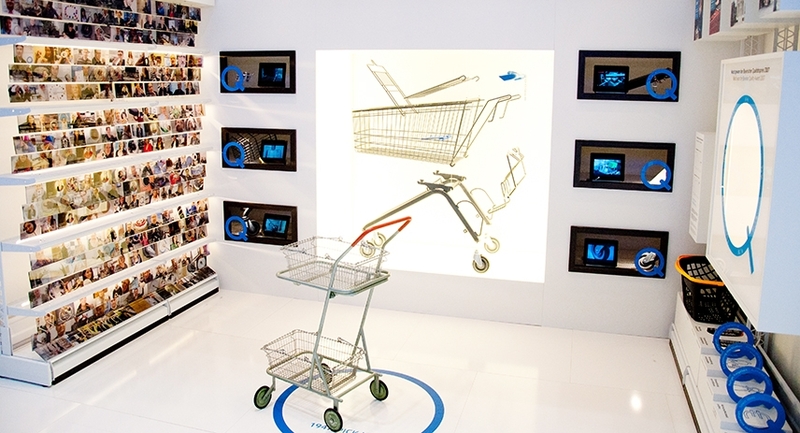 Product communication concentrated on the product’s main features. 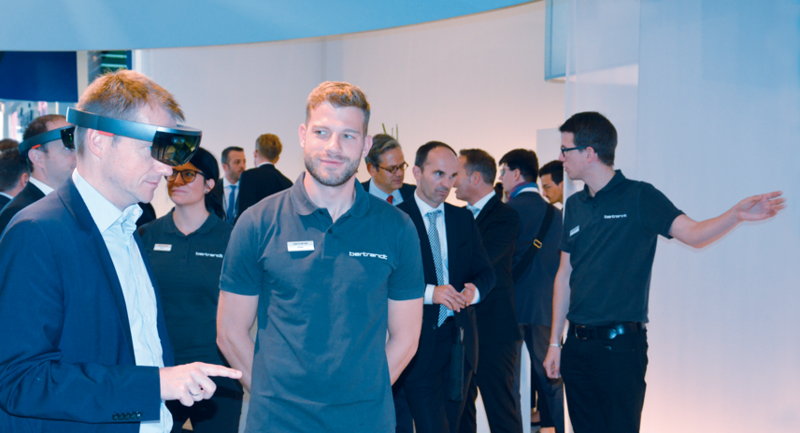 For in-depth information and specialized inquiries, customer consultants – with the help of iPads – provided guidance for the visitors. 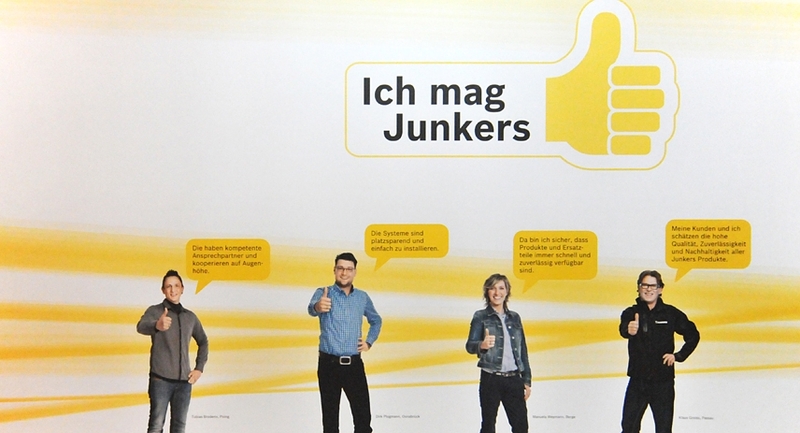 A successful overall concept with a clear conclusion: “I like Junkers”.